QuadJacks.com, known mainly for their poker podcasts, has been doing a bit of investigating in recent weeks and has uncovered an interesting relationship between the Full Tilt Poker store and the Lederer family. 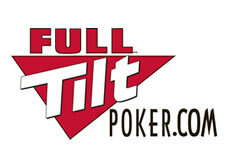 According to QuadJacks, the Full Tilt Poker store was operated by just two people (which points to the store using vendors to supply most of their orders sort of like cafepress.com) one of which, Scott Lederer, has been revealed to be –surprise, surprise– the cousin of Full Tilt Poker founder and likely owner Howard Lederer. What connection Howard Lederer, or any other Full Tilt Poker principle, has to the company or to the company’s profits is unclear –Whether Howard Lederer profited from this arrangement or simply set up his cousin with a sweetheart job remains to be seen at this point. QuadJacks did contact Scott Lederer for comment, but like his cousin has one since Black Friday, he refused to comment on the matter. This entry was posted on Monday, September 19th, 2011 at 10:20 am and is filed under Poker News. You can follow any responses to this entry through the RSS 2.0 feed. You can leave a response, or trackback from your own site.